Former English Soccerer George Cohen was the right full back for England during their famous 1966 World Cup win. As such he is one of only a very select group of former players who can talk abbot what it is like to be part of a world cup winning side. He does so with charm and insight at a wide range of events, functions, ceremonies, on TV and many more places besides. Because of his membership of that famous side, it is no surprise George is a Soccer Hall of Famer who also happens to be the uncle of rugby union World Cup winner, Ben Cohen. Manchester United’s legendary winger George Best said of Cohen that he was “the best full back I ever played against”. Cohen spent his entire domestic playing time with one team – his local London side Fulham. Throughout his career he was a strong and commanding defender who was also good going forwards. He played 459 times for the team, scored six goals and turned out for England 37 times. Of course he was a vital player in the 1966 team who won his 30th cap as vice captain in the famous final. 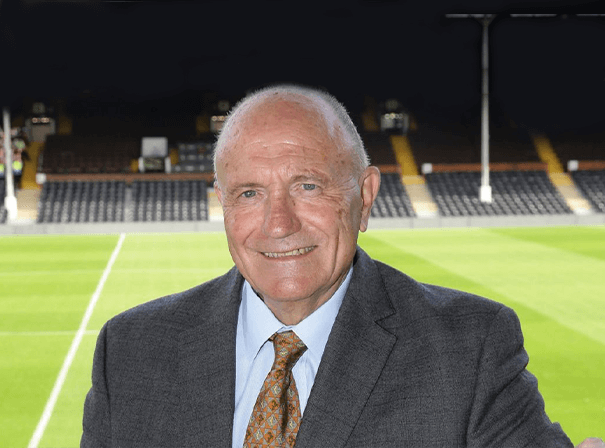 Because of his rare World Cup wining credentials, George Cohen is a hugely in demand speaker who has an insight not many do. For this reason he is a popular choice for a wide range of business and charities sports clubs and societies.